The Fall 2018 runways were pretty colorful. Clothes were decorated in pops of neon and vibrant plaid, while blue eyeshadow and rich red lips turned heads. But perhaps the most colorful element of all was the tights. 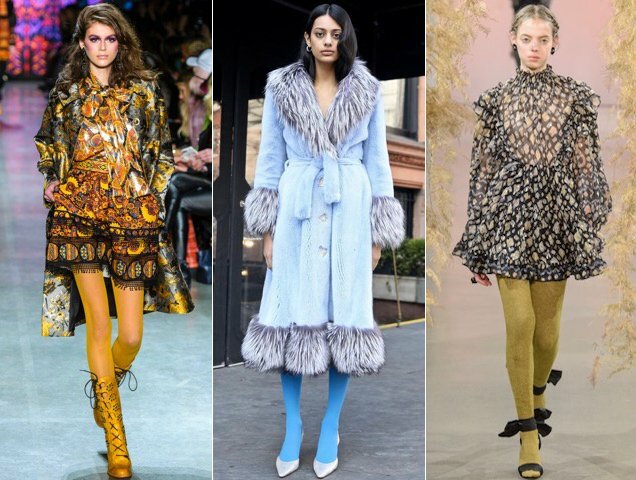 It all started at New York Fashion Week with several brands working in bright tights to complement a wide variety of looks. Anna Sui decked out several models in red, yellow and blue tights, some solid, others boasting fun patterns. Saks Potts was all about the rainbow tights, which paired perfectly with the brand’s covet-worthy fur-trimmed pastel coats. Ulla Johnson restrained herself to only one color, a mossy green, but she teamed it with frilly dresses and flowing skirts. Tom Ford took a walk on the wild side by having his models slip on animal patterned tights in a spectrum of shades, from purple to red to yellow. 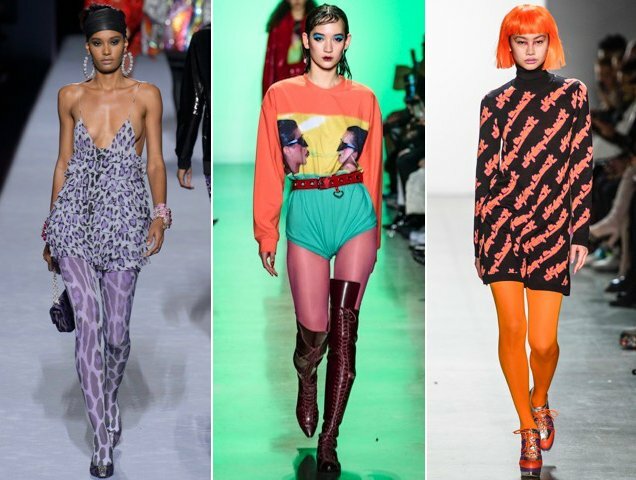 Adam Selman’s hosiery was just as bold with opaque tights in saturated hues finishing off everything from animal prints to hot pants. The colorful wigs at Jeremy Scott may have stolen the show but the tights were equally bold, appearing in pink, orange, green, yellow, purple, fuchsia and blue. The colored tights trend also traveled overseas, showing up at shows like Dolce & Gabbana and Shrimps. And they also popped up in practically every fashion city in street style form. In New York, a hot pink set was styled with a puffer in safety orange, a patterned ensemble and white pumps. They were red and opaque over in Milan, fashioned with a red quilted jacket, teal turtleneck, white top, patterned miniskirt and pink booties. 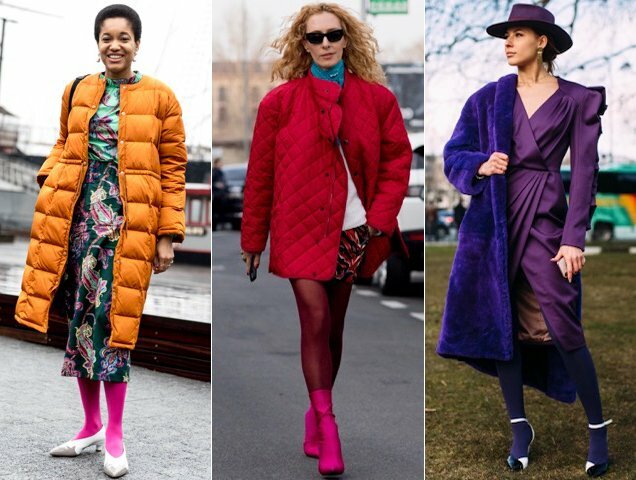 Cut to Paris where the 80s puffy shoulders trend came face to face with purple tights. With the weather still not cooperating despite it being the first day of spring, colored tights are the sartorial equivalent of a secret weapon. Slip on a pair to get away with wearing those flirty spring dresses and skirts right now (remember: layering is your friend during the in-between season). Short on supply? We’ve rounded up 13 pairs of colorful tights for women to get you started.